Legendary Chris Reeve Green Beret 7" in Flat Dark Earth with partial serrations. Full tang design for strength and reliability. Hollow grinds on the FDE PVD coated blade. 55-57 Rockwell hardness. Contoured and textured black canvas micarta handle scales. Integral lanyard hole with cord lanyard attached. Jimping on the thumb rest of the blade spine for a secure grip. 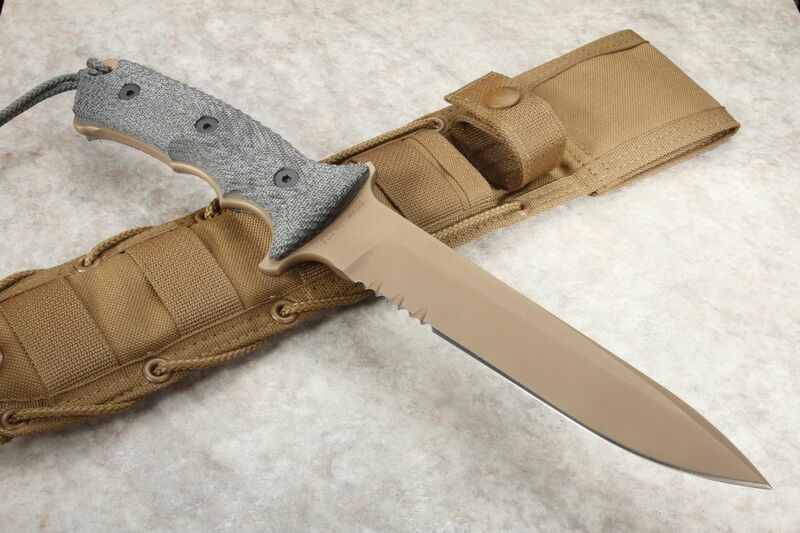 Tan sheath features a kydex lining. All Chris Reeve knives are made with pride and precision in the U.S.A. KnifeArt.com is proud to represent Chris Reeve Knives as an authorized seller and collaborator. 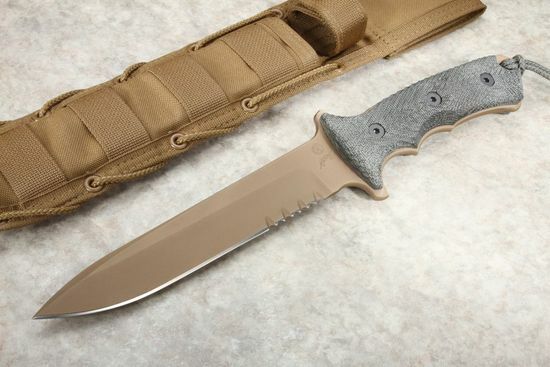 Sheath is First Spear brand sheath made for Chris Reeve Knives.